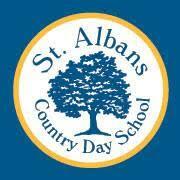 Their school motto, “From Here Go Anywhere,” truly reflects the kind of education students at St. Albans Country Day School receive. Located in Roseville, California, St. Albans is a fully-accredited, independent, diverse, private school, founded in 1963 by parents who wanted a qualitatively different educational environment for their children. Class sizes are small, with about 24 students per grade at St. Albans. This guest post was written by Ashley Gern, the Computer/Technology teacher at St. Albans. You can follow her @ashgern16. We hear the term “technology literacy” a lot when comparing generations and their ability to use various technologies. 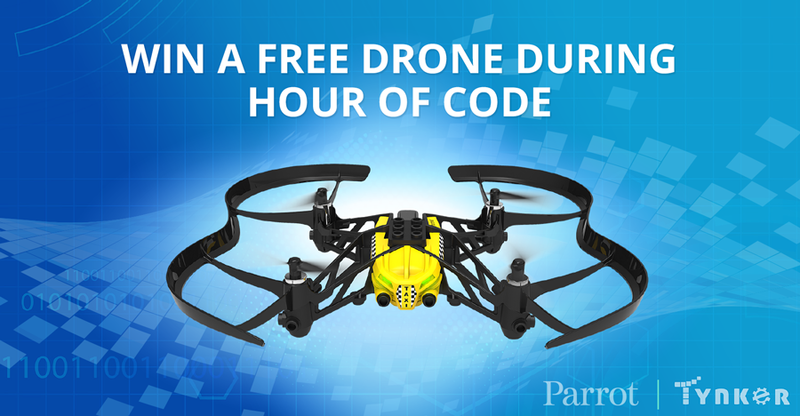 I firmly believe that in the future, to be tech literate, you will need know how to code. Technology is everywhere and to be able to understand at the fundamental level how technology works is unbelievably important. I believe being able to read and write code will give my students an advantage in life, just like having the ability to read and write gives you power. I want my students to go out and become forces of change. Therefore, I am preparing my students to become innovators. Every field now uses some form of technology, and as technology continues to advance, more and more jobs will require people to know how to code. 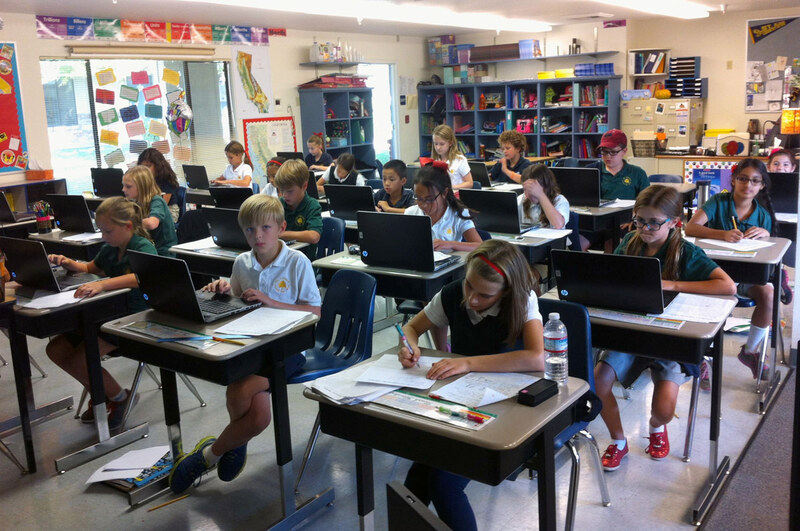 We are a private school and believe that technology is an important part of student learning. Technology is integrated into all aspects of our curriculum, at all grade levels (PreK-8th). Almost every classroom has a one-to-one student ratio with iPads or Chromebooks. All classrooms integrate a variety of STEM into their instruction and all classes have access to 3D printers. Our school regularly meets together for professional development to support our teachers’ technology use in their classrooms. Our school teaches students how to use technology as a tool to facilitate life-long learning. It is not just about teaching basic skills like word processing and coding, but also about teaching problem solving and critical thinking. We also focus on digital citizenship and how to be responsible with technology. 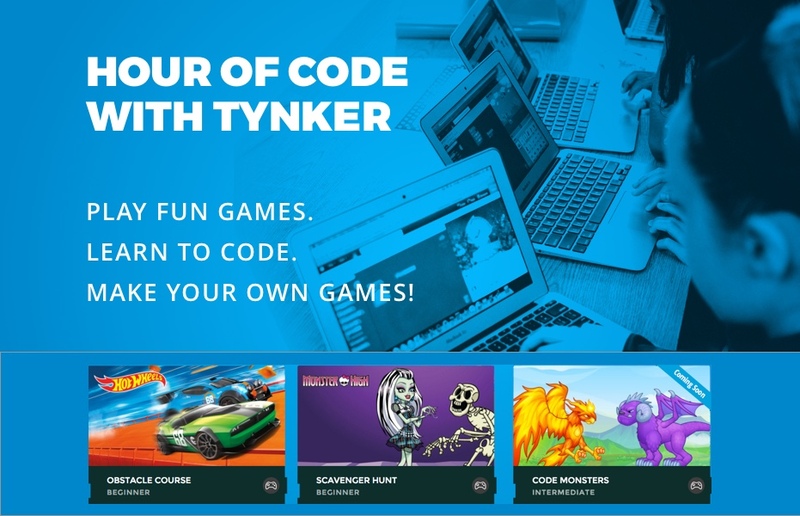 The students love Tynker because it makes coding fun. The courses in Tynker are way more fun than just coding in a traditional IDE. Teaching the students to debug is teaching them valuable problem solving skills and perseverance. I am a huge supporter of getting more girls interested in coding. I love that Tynker has female characters at all levels. Our school gets a lot of compliments from parents who are excited about how much coding we are teaching. I think that there is a perception that coding is difficult and if you do not know how to code, how are you supposed to teach it? However, programs like Tynker really support teachers. They break down every lesson for you and give you answers to every problem. They also have fun projects for every holiday, so you can choose to teach an entire course or just teach a lesson every once in a while.